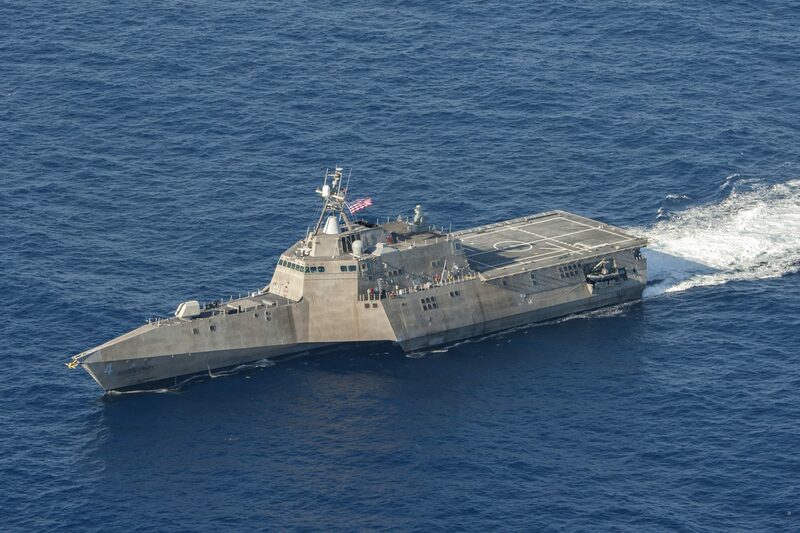 For additional information on the LCS, go to this Navy Link. 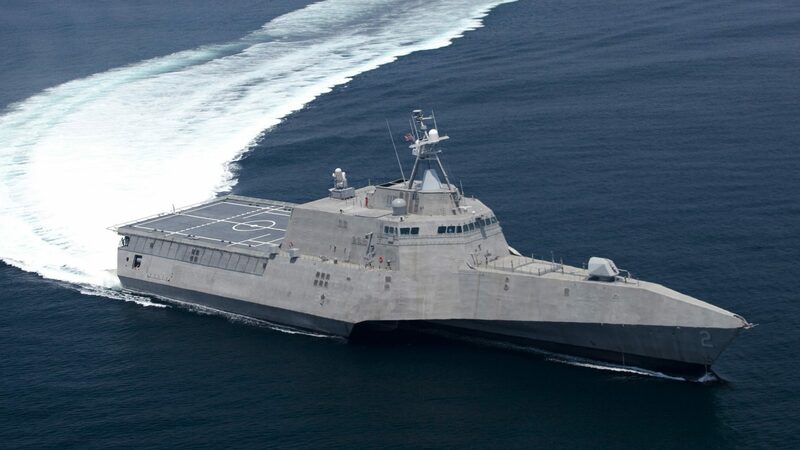 The Navy required that the speedy stealth-like LCS have the ability to transport an assault team overseas, provide a flight deck and hanger for two helicopters, and a stern ramp to load mission modules and launch boats, small subs and other assault vehicles. 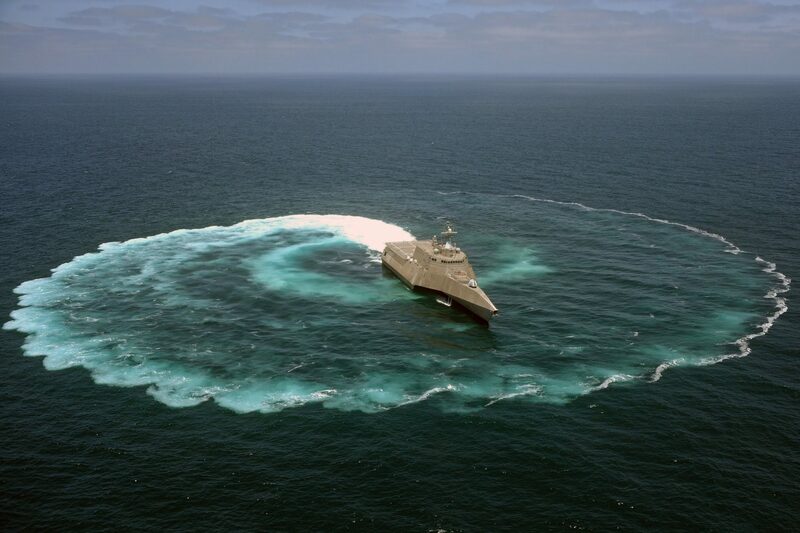 An LCS is a Littoral Combat Ship, which means that the ship is a littoral or a “close-to-shore” ship. 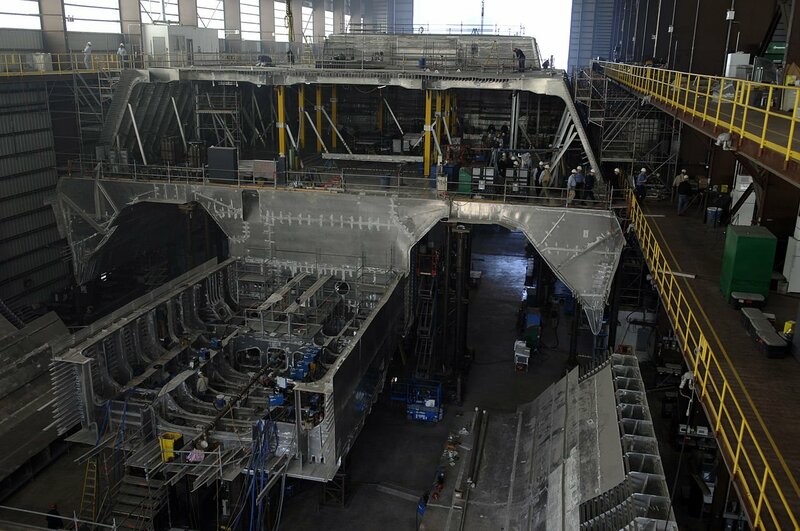 The LCS 16 – the future USS Tulsa – will draft only 14 feet. Its four turbines, two diesel and two gas-powered, push the 418-foot-long trimaran to a top speed of 54 mph and the ship boasts a 4,900 mile range. A potent arsenal of 24 radar-guided Hellfire missiles provide standoff firepower to defend against swarming fast attack craft. An over the horizon, longer-range missile is scheduled to be a part of the LCS surface warfare package that will be fired from a hatch on the bow’s deck. In a matter of hours, the reconfigurable mission bay of an LCS can plug-and-play a variety of modules, thus allowing it to change its primary function to fit a particular Navy operation. 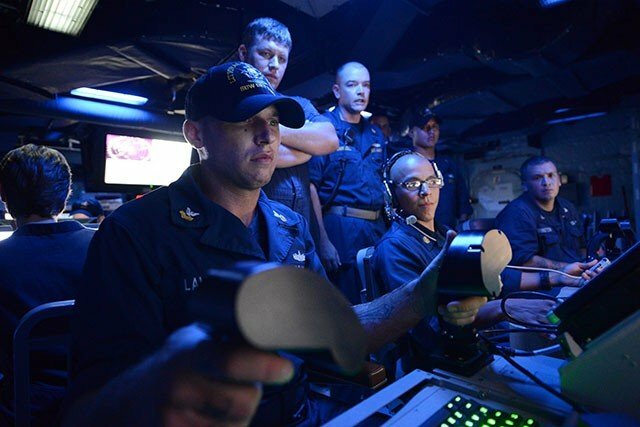 The crew has the ability to deploy and control unmanned surface vessels and mine sweepers that locate and destroy a variety of mines. In the late 1990s, the Navy brass determined the next naval battle would be shallow, coastal waters. calling the intimidating water-warrior an LCS.